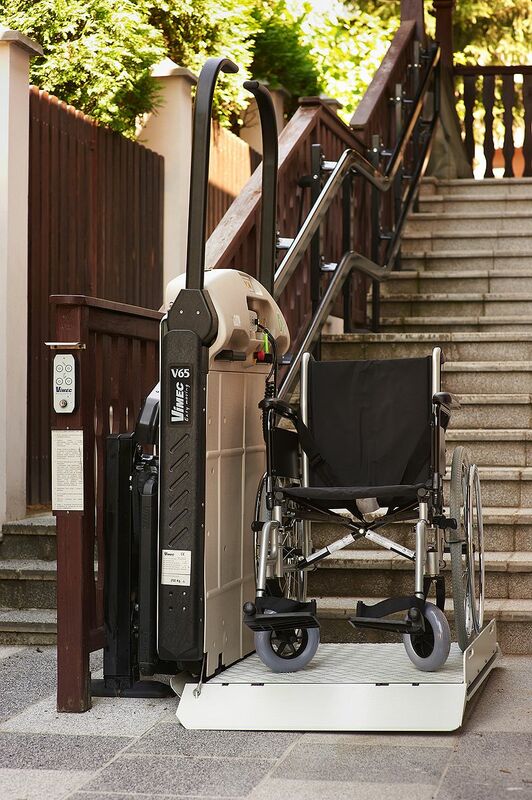 This range of platform stairlifts provides safe access to all public and private premises. 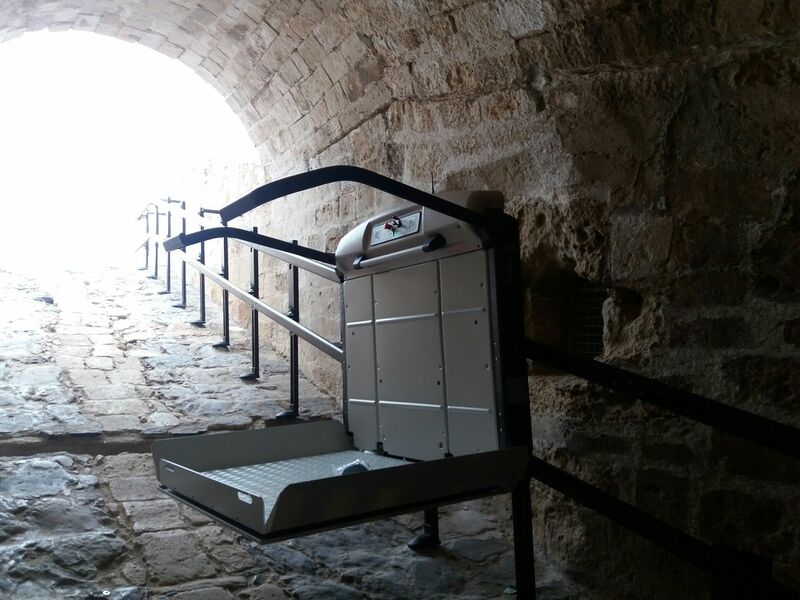 Thanks to the simplicity and comfort of the design, they can be used easily and safely and provide fully independent access to the next level. 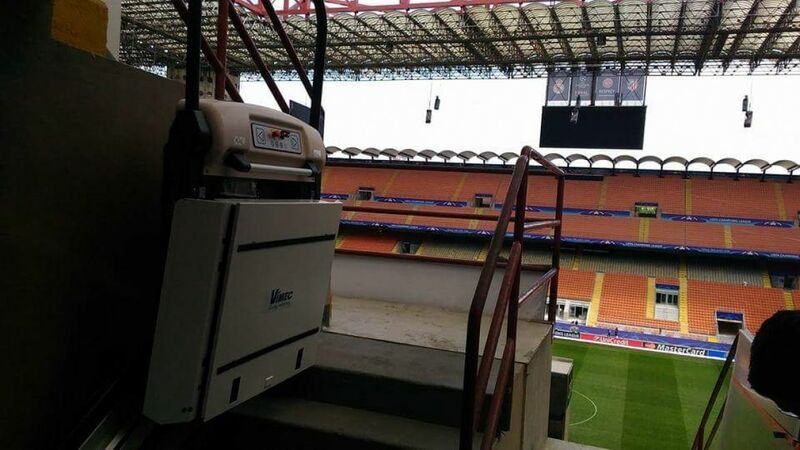 The V64 and V65 platform stairlifts are suitable for installation both indoor and outdoor. Thanks to the innovative design features the V64 and V65 will continue to perform, even in severe weather conditions. V64 and V65 are equipped with wireless carriage and landing control stations. Both the V64 and V65 are available with retractable safety arms. This allows both products to be used even in areas with a reduced headroom and increases the storage options, when the lift is not in use. The V64 and V65 are available in 3 standard platform lengths. A compact platform for installation with small staircases and landings. 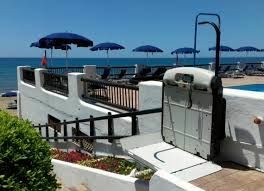 To accommodate all types of wheelchair. To meet all transportation needs. 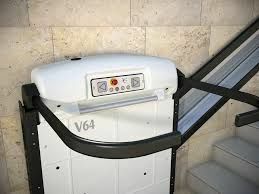 The V64 wheelchair platform, travels on a straight rail (ideal bfor one flight of stairs). Installation of the V64 does not require any building work with a full range of platform sizes and rail support options. V65 is the curved inclined platform stairlift. 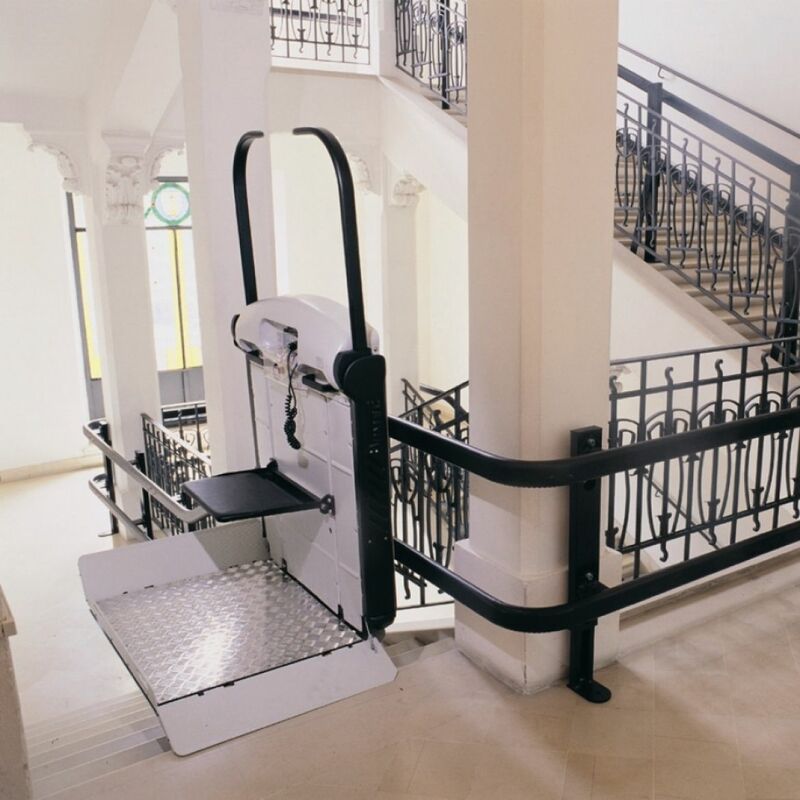 It is able to manage both constant or variable stair and slope gradients. It easily adapts to the incline variation of a landing or flight of stairs. the V65 guarantees smooth and quite operation whilst minimising power usage. The V64 and V65 have been successfully installed around the world. stairlifts are appreciated for both their versatility and reliability. always appreciated for reliability and versatily.